Yesterday we talked about global things we’re thankful for, via President Roosevelt and the Four Freedoms. Today, it’s time for a more personal note. From Mary M. Ryan. She is somewhere in the sea of women at Hunter College. As you know, my mother was a WAVE during World War II – and it was her story which inspired this project. And the WAVES were truly trailblazers during the war. This blog is called “Hinges of History” to recognize that contribution. The WAVES were the first women admitted into the service at the same rank and pay as men. And it wasn’t just the service – women during that era generally were paid less than men, under the rationale that they didn’t need the money as much because men were supporting families and women were “only” supporting themselves. So for the Navy to pay women the same amount for the same work was pretty groundbreaking. But the WAVES weren’t the only ones forging new territory during the war. 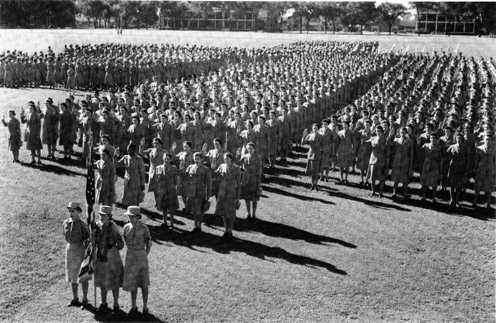 Inside of the military, the Army WAACs (Women’s Army Auxiliary Corps, later Women’s Army Corps) were the first women other than nurses to travel overseas in troops with men. The WASP (Women’s Air Service Pilots) were the first women to regularly fly planes, mostly ferrying planes in the continental United States from one side of the country to another. 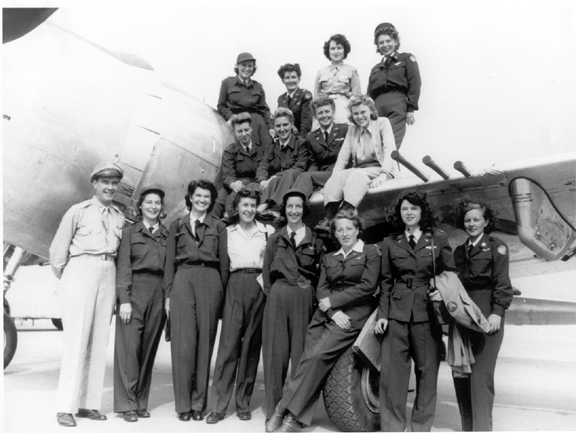 They weren’t “in” the service, but had the same risks as male pilots: 38 WASPs died while flying for their country. 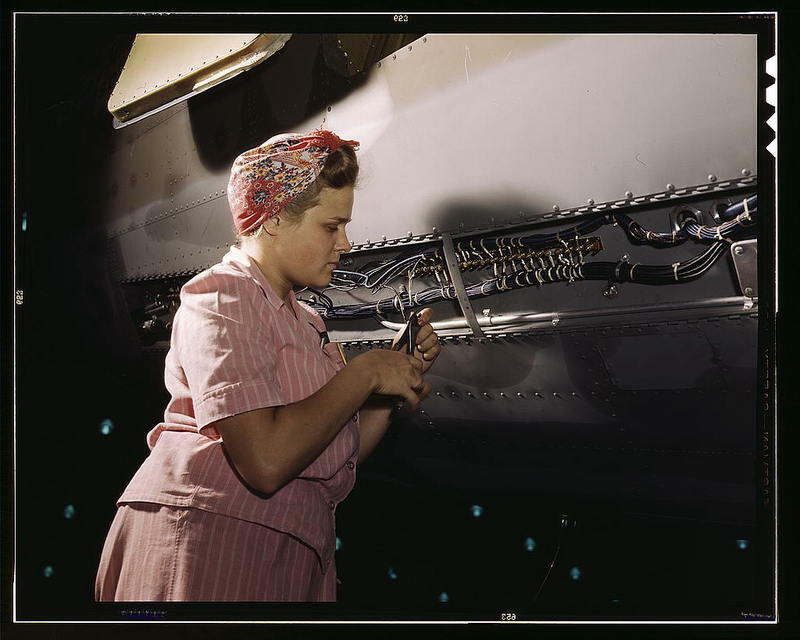 A "Rosie" working as a Electrician, National Archives. While historians are divided about the lasting contributions of these women, those who served in both civilian and military jobs believed their work mattered. They were the “hinge”: without their contributions the world wouldn’t have changed in the same way. Without them, our world would be a different place. 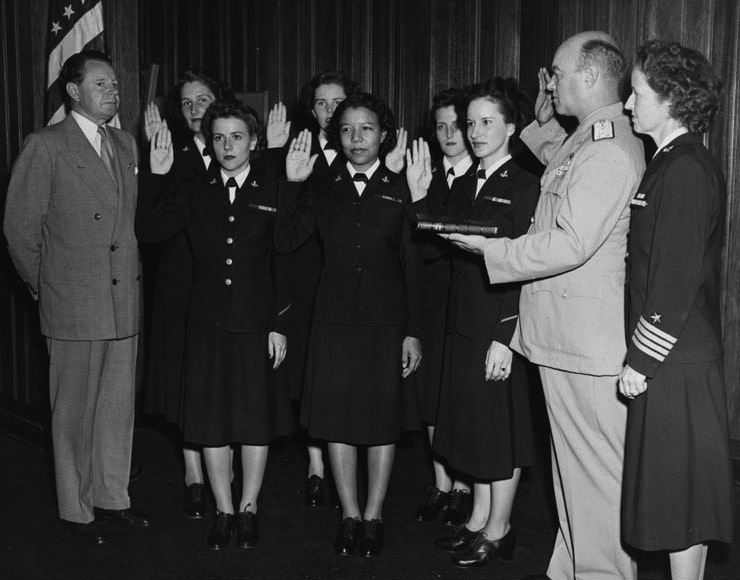 First post-WWII WAVES take the oath of office, U.S. Navy. Our friends at the National Women’s History Museum seem to be on the same wavelength this week. They put together a fabulous video series about women who blazed a trail for those who followed – and those who are dedicated to keeping those histories alive. Part One is embedded below (see Part Two and Part Three on their YouTube channel). Thank you, this Thanksgiving eve, to the National Women’s History Museum and everyone else who is honoring the trailblazers in women’s history! And, of course, thank you to the trailblazers! 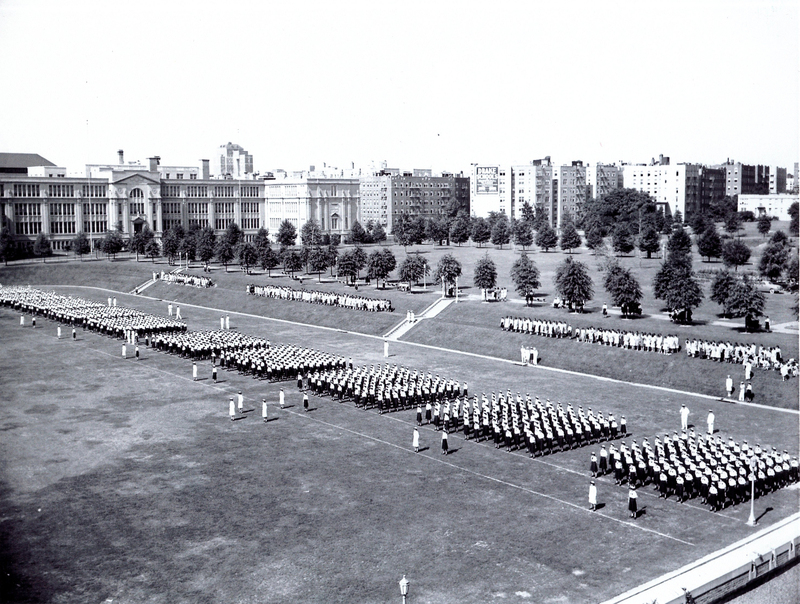 The photo of the Waves on the parade ground at Hunter College was quite a shock for me. I have this exact photo. My mother (Virginia M. Criner) was in this group of Waves. My copy of the photo is notated on the back by my mother. This is the 10th Regiment, Battalion 1 and 2. She notes that Battalion 1 is the one at the far side of the photo that is partially cut out of the picture. I have another photo of just her company marching in review and she is easily distinguishable (she was very tall). I am very proud of her, and this picture is a delight to see on the website. Thanks, Tom W.
The photo came from the collection of the mother of the Homfront Heroines director. We haven’t seen if she made any back notations, but know that Mary Marovich (Ryan) is somewhere in the group. How wonderful that they served at the same time! I am looking for a Tom Winters that was a BM1, on the USS Canopus AS34 back in the early 80’s. Would it be you by any chance, or a relative?